Earlier in the week the weather router said Thursday or Friday would be equally advantageous for a crossing from Havana to Key West — at worst, 4-footers in the middle of the Gulf Stream. It would be a break from the nasty conditions that had sent waves crashing over the seawall at Marina Hemingway. We got underway just before sunset Thursday. As Chris Parker had predicted, our crossing was fine. Even in a 41-foot boat we were never really comfortable-comfortable, but the motion was not enough to keep us from going below to grab a Coke out of the cooler. Tough life, huh? 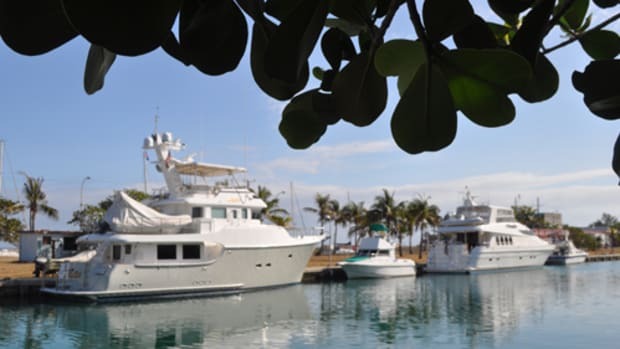 We crossed onto the banks off Key West at dawn on Friday and motored to one of the marinas to clear Customs. We were home. Upon arrival we found that the Florida news media were reporting someone else’s crossing. Shortly after midnight on Thursday, 23 Cuban bolseros (rafters) — 21 men and two women — had made landfall at Smathers Beach aboard a homemade craft. They had spent four days at sea, none during our happy weather window. A half-dozen paragraphs — that was all; these stories are routine down here. 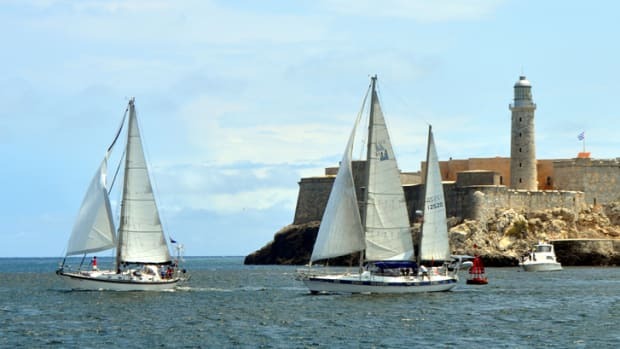 I couldn’t help but ponder their voyage, which no doubt began late Sunday night when the katabatic night winds from Cuba’s highlands were counteracting the trades and smoothing out the near-shore seas, all the while propelling their little boat northward into the Gulf Stream. Once they were in the Stream, the current would carry their improvised craft swiftly east, then north of east. But their destination was not Scotland. Unlike Parker, their Cuban weather-router was ruthless in his calculations. They would need those brisk southeast trade winds to push them onto the beaches of Florida, even if it meant having to huddle together and endure 6-, 8-, 10-foot seas for days. To any well-equipped gringo boater, the bolseros’ bravery should be humbling. The “Smathers 23” had played against the course and won. Under the U.S. “wet-foot, dry-foot” policy, Cuban migrants who reach the beach typically are allowed to remain; those intercepted at sea are sent back. Then there’s a third group that neither reaches shore nor is taken aboard a Coast Guard cutter: They are the ones swallowed by the sea. Cuban bolseros who reach an American beach can remain in the United States. 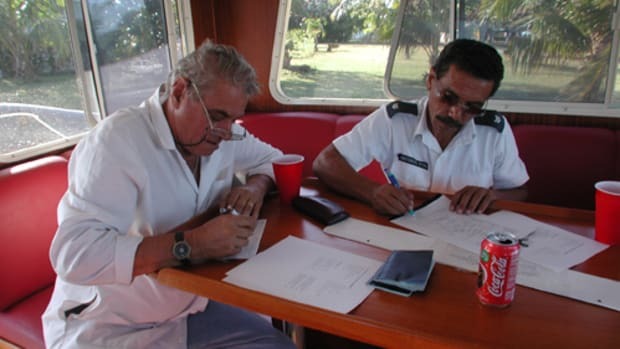 Those who are intercepted are repatriated to Cuba. Photo courtesy of the Coast Guard. In March a cruise ship rescued 18 Cuban migrants in the Gulf of Mexico aboard a rickety 30-foot craft. The survivors reported that nine of their number had died of dehydration and had been buried at sea. This group, which spent 22 days on the water, were the losers in what can best be described as America’s “Hunger Games” immigration policy. The games have no shortage of contestants. 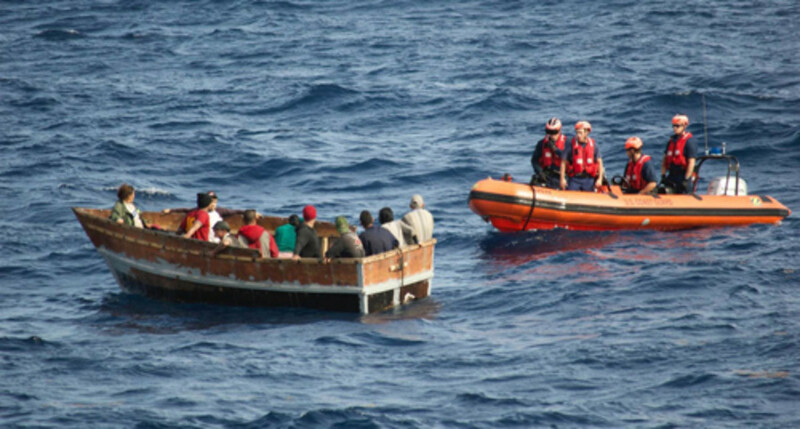 In the last three months of 2015, according to Coast Guard statistics, 1,536 Cubans took to the sea, most of them picked up by the Coast Guard. 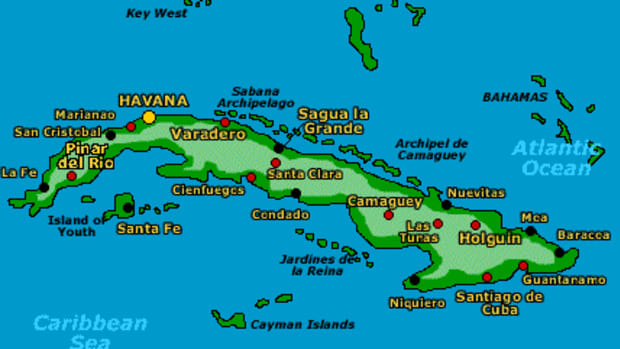 This compares with 4,473 Cubans in all of fiscal 2015, which ended Sept. 30. For those of you unsure of the cultural reference, the popular The Hunger Games series of novels and movies are set in a dystopian North America of the future. Teenagers from subjugated provinces are forced to fight to the death for the entertainment of their overlords. The home provinces of the winning teens are rewarded with food and supplies. In the case of the Cuban migrants, winners are rewarded with economic opportunity, and this is where the “hunger” analogy falls short. They are not leaving Cuba for want of food. The Cuban population is pretty darned healthy by U.S. standards. And although there may be a political element to their disaffection, what frustrates would-be migrants most is the lack of opportunity for advancement in Cuba. The number of Cubans willing to risk their lives to cross the Florida Straits is on the upswing now precisely because the Obama administration and the Castro regime are normalizing relations. Cubans fear that we will end the “wet-foot, dry-foot” policy. That policy should end. What were we thinking? It’s insane to provide incentives for people to risk their lives in what amounts to a contest. Such a policy is unprecedented except in the fiction cited above. 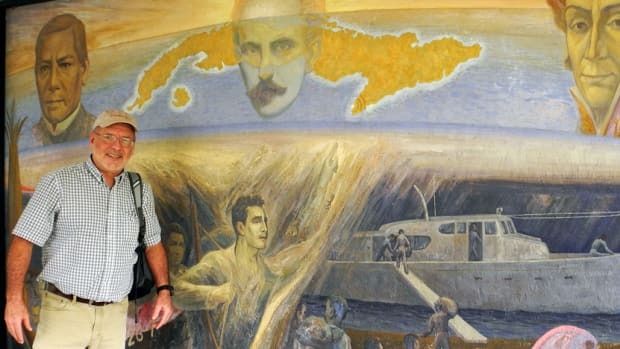 Instead, U.S. officials are trying to counter rumors of dry-foot’s impeding demise by assuring Cubans in Cuba that the rules of the game will not change. If our “Hunger Games” immigration policy must continue, let’s at least broaden the playing field. Let’s let the people of Haiti compete, too. 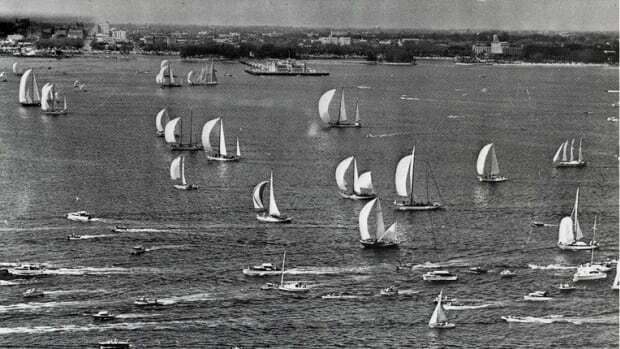 They’ve been coming to South Florida by boat for decades without the benefit of a dry-foot exception. They, too, come to America for economic opportunity. The difference is that in Haiti they really are dying of starvation and disease.